Aromatic Scent: Cade has an intense, tar-like, woody, dry, smoky phenolic odor. 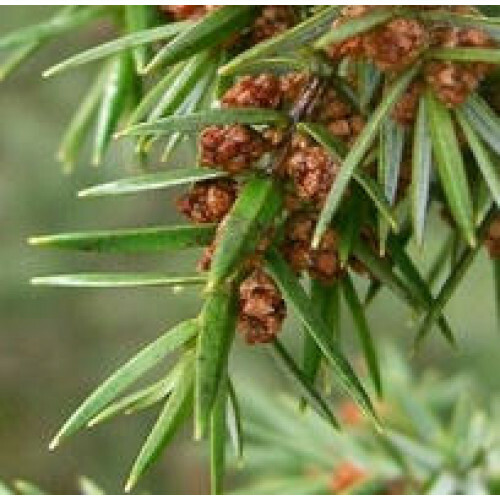 History: Native to southern France, this member of the Juniper family is now common throughout Europe and North Africa. Cautions: Non-toxic and possible sensitizing. Use well diluted. Avoid during pregnancy.